57:0.1 IN PRESENTING EXCERPTS from the archives of Jerusem for the records of Urantia respecting its antecedents and early history, we are directed to reckon time in terms of current usage—the present leap-year calendar of 365¼ days to the year. As a rule, no attempt will be made to give exact years, though they are of record. We will use the nearest whole numbers as the better method of presenting these historic facts. 57:0.2 When referring to an event as of one or two millions of years ago, we intend to date such an occurrence back that number of years from the early decades of the twentieth century of the Christian era. We will thus depict these far-distant events as occurring in even periods of thousands, millions, and billions of years. 57:1.1 Urantia is of origin in your sun, and your sun is one of the multifarious offspring of the Andronover nebula, which was onetime organized as a component part of the physical power and material matter of the local universe of Nebadon. And this great nebula itself took origin in the universal force-charge of space in the superuniverse of Orvonton, long, long ago. 57:1.2 At the time of the beginning of this recital, the Primary Master Force Organizers of Paradise had long been in full control of the space-energies which were later organized as the Andronover nebula. 57:1.3 987,000,000,000 years ago associate force organizer and then acting inspector number 811,307 of the Orvonton series, traveling out from Uversa, reported to the Ancients of Days that space conditions were favorable for the initiation of materialization phenomena in a certain sector of the, then, easterly segment of Orvonton. 57:1.5 The recording of this permit signifies that the force organizer and staff had already departed from Uversa on the long journey to that easterly space sector where they were subsequently to engage in those protracted activities which would terminate in the emergence of a new physical creation in Orvonton. 57:1.6 875,000,000,000 years ago the enormous Andronover nebula number 876,926 was duly initiated. Only the presence of the force organizer and the liaison staff was required to inaugurate the energy whirl which eventually grew into this vast cyclone of space. Subsequent to the initiation of such nebular revolutions, the living force organizers simply withdraw at right angles to the plane of the revolutionary disk, and from that time forward, the inherent qualities of energy insure the progressive and orderly evolution of such a new physical system. 57:1.7 At about this time the narrative shifts to the functioning of the personalities of the superuniverse. In reality the story has its proper beginning at this point—at just about the time the Paradise force organizers are preparing to withdraw, having made the space-energy conditions ready for the action of the power directors and physical controllers of the superuniverse of Orvonton. 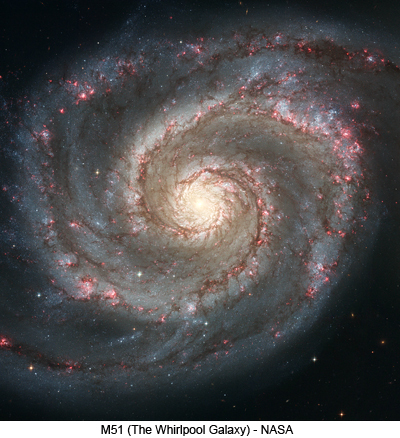 57:2.1 All evolutionary material creations are born of circular and gaseous nebulae, and all such primary nebulae are circular throughout the early part of their gaseous existence. As they grow older, they usually become spiral, and when their function of sun formation has run its course, they often terminate as clusters of stars or as enormous suns surrounded by a varying number of planets, satellites, and smaller groups of matter in many ways resembling your own diminutive solar system. 57:2.2 800,000,000,000 years ago the Andronover creation was well established as one of the magnificent primary nebulae of Orvonton. As the astronomers of near-by universes looked out upon this phenomenon of space, they saw very little to attract their attention. Gravity estimates made in adjacent creations indicated that space materializations were taking place in the Andronover regions, but that was all. 57:2.3 700,000,000,000 years ago the Andronover system was assuming gigantic proportions, and additional physical controllers were dispatched to nine surrounding material creations to afford support and supply co-operation to the power centers of this new material system which was so rapidly evolving. At this distant date all of the material bequeathed to the subsequent creations was held within the confines of this gigantic space wheel, which continued ever to whirl and, after reaching its maximum of diameter, to whirl faster and faster as it continued to condense and contract. 57:2.4 600,000,000,000 years ago the height of the Andronover energy-mobilization period was attained; the nebula had acquired its maximum of mass. At this time it was a gigantic circular gas cloud in shape somewhat like a flattened spheroid. This was the early period of differential mass formation and varying revolutionary velocity. Gravity and other influences were about to begin their work of converting space gases into organized matter. 57:3.1 The enormous nebula now began gradually to assume the spiral form and to become clearly visible to the astronomers of even distant universes. This is the natural history of most nebulae; before they begin to throw off suns and start upon the work of universe building, these secondary space nebulae are usually observed as spiral phenomena. 57:3.2 The near-by star students of that faraway era, as they observed this metamorphosis of the Andronover nebula, saw exactly what twentieth-century astronomers see when they turn their telescopes spaceward and view the present-age spiral nebulae of adjacent outer space. 57:3.3 About the time of the attainment of the maximum of mass, the gravity control of the gaseous content commenced to weaken, and there ensued the stage of gas escapement, the gas streaming forth as two gigantic and distinct arms, which took origin on opposite sides of the mother mass. The rapid revolutions of this enormous central core soon imparted a spiral appearance to these two projecting gas streams. The cooling and subsequent condensation of portions of these protruding arms eventually produced their knotted appearance. These denser portions were vast systems and subsystems of physical matter whirling through space in the midst of the gaseous cloud of the nebula while being held securely within the gravity grasp of the mother wheel. 57:3.4 But the nebula had begun to contract, and the increase in the rate of revolution further lessened gravity control; and erelong, the outer gaseous regions began actually to escape from the immediate embrace of the nebular nucleus, passing out into space on circuits of irregular outline, returning to the nuclear regions to complete their circuits, and so on. But this was only a temporary stage of nebular progression. The ever-increasing rate of whirling was soon to throw enormous suns off into space on independent circuits. 57:3.5 And this is what happened in Andronover ages upon ages ago. The energy wheel grew and grew until it attained its maximum of expansion, and then, when contraction set in, it whirled on faster and faster until, eventually, the critical centrifugal stage was reached and the great breakup began. 57:3.6 500,000,000,000 years ago the first Andronover sun was born. This blazing streak broke away from the mother gravity grasp and tore out into space on an independent adventure in the cosmos of creation. Its orbit was determined by its path of escape. 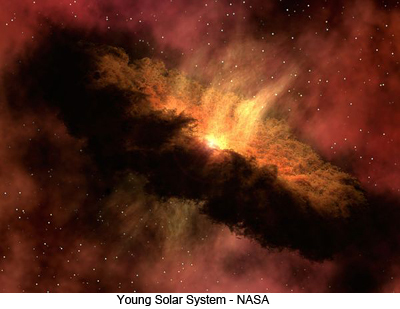 Such young suns quickly become spherical and start out on their long and eventful careers as the stars of space. Excepting terminal nebular nucleuses, the vast majority of Orvonton suns have had an analogous birth. These escaping suns pass through varied periods of evolution and subsequent universe service. 57:3.7 400,000,000,000 years ago began the recaptive period of the Andronover nebula. Many of the near- by and smaller suns were recaptured as a result of the gradual enlargement and further condensation of the mother nucleus. Very soon there was inaugurated the terminal phase of nebular condensation, the period which always precedes the final segregation of these immense space aggregations of energy and matter. 57:3.8 It was scarcely a million years subsequent to this epoch that Michael of Nebadon, a Creator Son of Paradise, selected this disintegrating nebula as the site of his adventure in universe building. Almost immediately the architectural worlds of Salvington and the one hundred constellation headquarters groups of planets were begun. It required almost one million years to complete these clusters of specially created worlds. The local system headquarters planets were constructed over a period extending from that time to about five billion years ago. 57:3.9 300,000,000,000 years ago the Andronover solar circuits were well established, and the nebular system was passing through a transient period of relative physical stability. About this time the staff of Michael arrived on Salvington, and the Uversa government of Orvonton extended physical recognition to the local universe of Nebadon. 57:3.10 200,000,000,000 years ago witnessed the progression of contraction and condensation with enormous heat generation in the Andronover central cluster, or nuclear mass. Relative space appeared even in the regions near the central mother-sun wheel. The outer regions were becoming more stabilized and better organized; some planets revolving around the newborn suns had cooled sufficiently to be suitable for life implantation. The oldest inhabited planets of Nebadon date from these times. 57:3.11 Now the completed universe mechanism of Nebadon first begins to function, and Michael's creation is registered on Uversa as a universe of inhabitation and progressive mortal ascension. 57:3.12 100,000,000,000 years ago the nebular apex of condensation tension was reached; the point of maximum heat tension was attained. This critical stage of gravity-heat contention sometimes lasts for ages, but sooner or later, heat wins the struggle with gravity, and the spectacular period of sun dispersion begins. And this marks the end of the secondary career of a space nebula. 57:4.1 The primary stage of a nebula is circular; the secondary, spiral; the tertiary stage is that of the first sun dispersion, while the quartan embraces the second and last cycle of sun dispersion, with the mother nucleus ending either as a globular cluster or as a solitary sun functioning as the center of a terminal solar system. 57:4.2 75,000,000,000 years ago this nebula had attained the height of its sun-family stage. This was the apex of the first period of sun losses. The majority of these suns have since possessed themselves of extensive systems of planets, satellites, dark islands, comets, meteors, and cosmic dust clouds. 57:4.3 50,000,000,000 years ago this first period of sun dispersion was completed; the nebula was fast finishing its tertiary cycle of existence, during which it gave origin to 876,926 sun systems. 57:4.4 25,000,000,000 years ago witnessed the completion of the tertiary cycle of nebular life and brought about the organization and relative stabilization of the far-flung starry systems derived from this parent nebula. But the process of physical contraction and increased heat production continued in the central mass of the nebular remnant. 57:4.5 10,000,000,000 years ago the quartan cycle of Andronover began. The maximum of nuclear-mass temperature had been attained; the critical point of condensation was approaching. The original mother nucleus was convulsing under the combined pressure of its own internal-heat condensation tension and the increasing gravity-tidal pull of the surrounding swarm of liberated sun systems. The nuclear eruptions which were to inaugurate the second nebular sun cycle were imminent. The quartan cycle of nebular existence was about to begin. 57:4.6 8,000,000,000 years ago the terrific terminal eruption began. Only the outer systems are safe at the time of such a cosmic upheaval. And this was the beginning of the end of the nebula. This final sun disgorgement extended over a period of almost two billion years. 57:4.7 7,000,000,000 years ago witnessed the height of the Andronover terminal breakup. This was the period of the birth of the larger terminal suns and the apex of the local physical disturbances. 57:4.8 6,000,000,000 years ago marks the end of the terminal breakup and the birth of your sun, the fifty-sixth from the last of the Andronover second solar family. This final eruption of the nebular nucleus gave birth to 136,702 suns, most of them solitary orbs. The total number of suns and sun systems having origin in the Andronover nebula was 1,013,628. 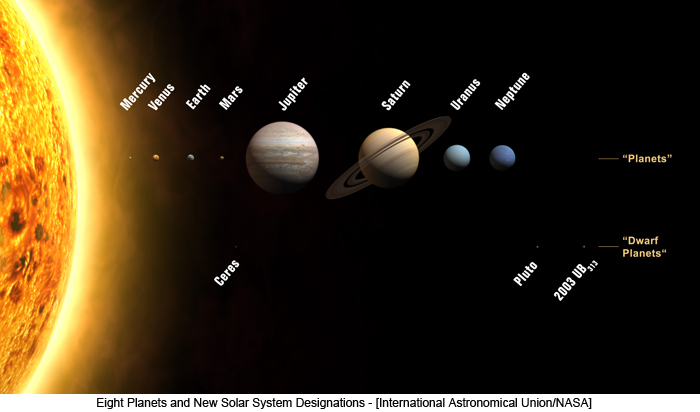 The number of the solar system sun is 1,013,572. 57:4.9 And now the great Andronover nebula is no more, but it lives on in the many suns and their planetary families which originated in this mother cloud of space. The final nuclear remnant of this magnificent nebula still burns with a reddish glow and continues to give forth moderate light and heat to its remnant planetary family of one hundred and sixty-five worlds, which now revolve about this venerable mother of two mighty generations of the monarchs of light. 57:5.1 5,000,000,000 years ago your sun was a comparatively isolated blazing orb, having gathered to itself most of the near-by circulating matter of space, remnants of the recent upheaval which attended its own birth. 57:5.2 Today, your sun has achieved relative stability, but its eleven and one-half year sunspot cycles betray that it was a variable star in its youth. In the early days of your sun the continued contraction and consequent gradual increase of temperature initiated tremendous convulsions on its surface. These titanic heaves required three and one-half days to complete a cycle of varying brightness. This variable state, this periodic pulsation, rendered your sun highly responsive to certain outside influences which were to be shortly encountered. 57:5.3 Thus was the stage of local space set for the unique origin of Monmatia, that being the name of your sun's planetary family, the solar system to which your world belongs. Less than one per cent of the planetary systems of Orvonton have had a similar origin. 57:5.4 4,500,000,000 years ago the enormous Angona system began its approach to the neighborhood of this solitary sun. The center of this great system was a dark giant of space, solid, highly charged, and possessing tremendous gravity pull. 57:5.5 As Angona more closely approached the sun, at moments of maximum expansion during solar pulsations, streams of gaseous material were shot out into space as gigantic solar tongues. At first these flaming gas tongues would invariably fall back into the sun, but as Angona drew nearer and nearer, the gravity pull of the gigantic visitor became so great that these tongues of gas would break off at certain points, the roots falling back into the sun while the outer sections would become detached to form independent bodies of matter, solar meteorites, which immediately started to revolve about the sun in elliptical orbits of their own. 57:5.6 As the Angona system drew nearer, the solar extrusions grew larger and larger; more and more matter was drawn from the sun to become independent circulating bodies in surrounding space. This situation developed for about five hundred thousand years until Angona made its closest approach to the sun; whereupon the sun, in conjunction with one of its periodic internal convulsions, experienced a partial disruption; from opposite sides and simultaneously, enormous volumes of matter were disgorged. From the Angona side there was drawn out a vast column of solar gases, rather pointed at both ends and markedly bulging at the center, which became permanently detached from the immediate gravity control of the sun. 57:5.7 This great column of solar gasses which was thus separated from the sun subsequently evolved into the twelve planets of the solar system. The repercussional ejection of gas from the opposite side of the sun in tidal sympathy with the extrusion of this gigantic solar system ancestor, has since condensed into the meteors and space dust of the solar system, although much, very much, of this matter was subsequently recaptured by solar gravity as the Angona system receded into remote space. 57:5.8 Although Angona succeeded in drawing away the ancestral material of the solar system planets and the enormous volume of matter now circulating about the sun as asteroids and meteors, it did not secure for itself any of this solar matter. The visiting system did not come quite close enough to actually steal any of the sun's substance, but it did swing sufficiently close to draw off into the intervening space all of the material comprising the present-day solar system. 57:5.9 The five inner and five outer planets soon formed in miniature from the cooling and condensing nucleuses in the less massive and tapering ends of the gigantic gravity bulge which Angona had succeeded in detaching from the sun, while Saturn and Jupiter were formed from the more massive and bulging central portions. The powerful gravity pull of Jupiter and Saturn early captured most of the material stolen from Angona as the retrograde motion of certain of their satellites bears witness. 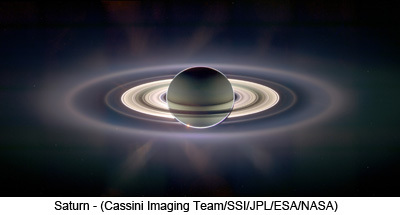 57:5.10 Jupiter and Saturn, being derived from the very center of the enormous column of superheated solar gases, contained so much highly heated sun material that they shone with a brilliant light and emitted enormous volumes of heat; they were in reality secondary suns for a short period after their formation as separate space bodies. These two largest of the solar system planets have remained largely gaseous to this day, not even yet having cooled off to the point of complete condensation or solidification. 57:5.11 The gas-contraction nucleuses of the other ten planets soon reached the stage of solidification and so began to draw to themselves increasing quantities of the meteoric matter circulating in near-by space. The worlds of the solar system thus had a double origin: nucleuses of gas condensation later on augmented by the capture of enormous quantities of meteors. Indeed they still continue to capture meteors, but in greatly lessened numbers. 57:5.12 The planets do not swing around the sun in the equatorial plane of their solar mother, which they would do if they had been thrown off by solar revolution. Rather, they travel in the plane of the Angona solar extrusion, which existed at a considerable angle to the plane of the sun's equator. 57:5.13 While Angona was unable to capture any of the solar mass, your sun did add to its metamorphosing planetary family some of the circulating space material of the visiting system. Due to the intense gravity field of Angona, its tributary planetary family pursued orbits of considerable distance from the dark giant; and shortly after the extrusion of the solar system ancestral mass and while Angona was yet in the vicinity of the sun, three of the major planets of the Angona system swung so near to the massive solar system ancestor that its gravitational pull, augmented by that of the sun, was sufficient to overbalance the gravity grasp of Angona and to permanently detach these three tributaries of the celestial wanderer. 57:5.14 All of the solar system material derived from the sun was originally endowed with a homogeneous direction of orbital swing, and had it not been for the intrusion of these three foreign space bodies, all solar system material would still maintain the same direction of orbital movement. As it was, the impact of the three Angona tributaries injected new and foreign directional forces into the emerging solar system with the resultant appearance of retrograde motion. Retrograde motion in any astronomic system is always accidental and always appears as a result of the collisional impact of foreign space bodies. Such collisions may not always produce retrograde motion, but no retrograde ever appears except in a system containing masses which have diverse origins. 57:6.1 Subsequent to the birth of the solar system a period of diminishing solar disgorgement ensued. Decreasingly, for another five hundred thousand years, the sun continued to pour forth diminishing volumes of matter into surrounding space. But during these early times of erratic orbits, when the surrounding bodies made their nearest approach to the sun, the solar parent was able to recapture a large portion of this meteoric material. 57:6.2 The planets nearest the sun were the first to have their revolutions slowed down by tidal friction. 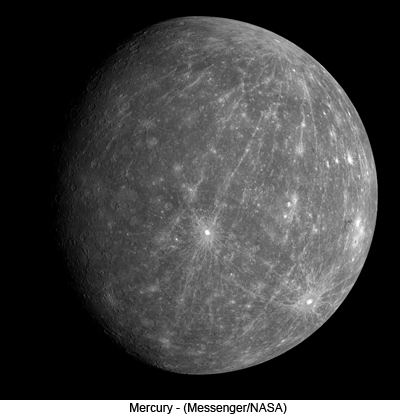 Such gravitational influences also contribute to the stabilization of planetary orbits while acting as a brake on the rate of planetary- axial revolution, causing a planet to revolve ever slower until axial revolution ceases, leaving one hemisphere of the planet always turned toward the sun or larger body, as is illustrated by the planet Mercury and by the moon, which always turns the same face toward Urantia. 57:6.3 When the tidal frictions of the moon and the earth become equalized, the earth will always turn the same hemisphere toward the moon, and the day and month will be analogous—in length about forty-seven days. When such stability of orbits is attained, tidal frictions will go into reverse action, no longer driving the moon farther away from the earth but gradually drawing the satellite toward the planet. And then, in that far-distant future when the moon approaches to within about eleven thousand miles of the earth, the gravity action of the latter will cause the moon to disrupt, and this tidal-gravity explosion will shatter the moon into small particles, which may assemble about the world as rings of matter resembling those of Saturn or may be gradually drawn into the earth as meteors. 57:6.4 If space bodies are similar in size and density, collisions may occur. But if two space bodies of similar density are relatively unequal in size, then, if the smaller progressively approaches the larger, the disruption of the smaller body will occur when the radius of its orbit becomes less than two and one-half times the radius of the larger body. Collisions among the giants of space are rare indeed, but these gravity-tidal explosions of lesser bodies are quite common. 57:6.5 Shooting stars occur in swarms because they are the fragments of larger bodies of matter which have been disrupted by tidal gravity exerted by near-by and still larger space bodies. Saturn's rings are the fragments of a disrupted satellite. One of the moons of Jupiter is now approaching dangerously near the critical zone of tidal disruption and, within a few million years, will either be claimed by the planet or will undergo gravity- tidal disruption. The fifth planet of the solar system of long, long ago traversed an irregular orbit, periodically making closer and closer approach to Jupiter until it entered the critical zone of gravity- tidal disruption, was swiftly fragmentized, and became the present-day cluster of asteroids. 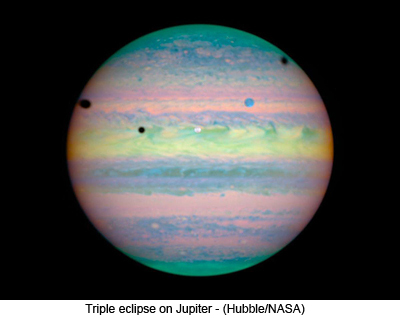 57:6.6 4,000,000,000 years ago witnessed the organization of the Jupiter and Saturn systems much as observed today except for their moons, which continued to increase in size for several billions of years. In fact, all of the planets and satellites of the solar system are still growing as the result of continued meteoric captures. 57:6.7 3,500,000,000 years ago the condensation nucleuses of the other ten planets were well formed, and the cores of most of the moons were intact, though some of the smaller satellites later united to make the present-day larger moons. This age may be regarded as the era of planetary assembly. 57:6.8 3,000,000,000 years ago the solar system was functioning much as it does today. Its members continued to grow in size as space meteors continued to pour in upon the planets and their satellites at a prodigious rate. 57:6.9 About this time your solar system was placed on the physical registry of Nebadon and given its name, Monmatia. 57:6.10 2,500,000,000 years ago the planets had grown immensely in size. Urantia was a well-developed sphere about one tenth its present mass and was still growing rapidly by meteoric accretion. 57:6.11 All of this tremendous activity is a normal part of the making of an evolutionary world on the order of Urantia and constitutes the astronomic preliminaries to the setting of the stage for the beginning of the physical evolution of such worlds of space in preparation for the life adventures of time. 57:7.1 Throughout these early times the space regions of the solar system were swarming with small disruptive and condensation bodies, and in the absence of a protective combustion atmosphere such space bodies crashed directly on the surface of Urantia. These incessant impacts kept the surface of the planet more or less heated, and this, together with the increased action of gravity as the sphere grew larger, began to set in operation those influences which gradually caused the heavier elements, such as iron, to settle more and more toward the center of the planet. 57:7.2 2,000,000,000 years ago the earth began decidedly to gain on the moon. Always had the planet been larger than its satellite, but there was not so much difference in size until about this time, when enormous space bodies were captured by the earth. Urantia was then about one fifth its present size and had become large enough to hold the primitive atmosphere which had begun to appear as a result of the internal elemental contest between the heated interior and the cooling crust. 57:7.3 Definite volcanic action dates from these times. The internal heat of the earth continued to be augmented by the deeper and deeper burial of the radioactive or heavier elements brought in from space by the meteors. The study of these radioactive elements will reveal that Urantia is more than one billion years old on its surface. The radium clock is your most reliable timepiece for making scientific estimates of the age of the planet, but all such estimates are too short because the radioactive materials open to your scrutiny are all derived from the earth's surface and hence represent Urantia's comparatively recent acquirements of these elements. 57:7.4 1,500,000,000 years ago the earth was two thirds its present size, while the moon was nearing its present mass. Earth's rapid gain over the moon in size enabled it to begin the slow robbery of the little atmosphere which its satellite originally had. 57:7.5 Volcanic action is now at its height. The whole earth is a veritable fiery inferno, the surface resembling its earlier molten state before the heavier metals gravitated toward the center. This is the volcanic age. Nevertheless, a crust, consisting chiefly of the comparatively lighter granite, is gradually forming. The stage is being set for a planet which can someday support life. 57:7.6 The primitive planetary atmosphere is slowly evolving, now containing some water vapor, carbon monoxide, carbon dioxide, and hydrogen chloride, but there is little or no free nitrogen or free oxygen. The atmosphere of a world in the volcanic age presents a queer spectacle. In addition to the gases enumerated it is heavily charged with numerous volcanic gases and, as the air belt matures, with the combustion products of the heavy meteoric showers which are constantly hurtling in upon the planetary surface. Such meteoric combustion keeps the atmospheric oxygen very nearly exhausted, and the rate of meteoric bombardment is still tremendous. 57:7.7 Presently, the atmosphere became more settled and cooled sufficiently to start precipitation of rain on the hot rocky surface of the planet. For thousands of years Urantia was enveloped in one vast and continuous blanket of steam. And during these ages the sun never shone upon the earth's surface. 57:7.8 Much of the carbon of the atmosphere was abstracted to form the carbonates of the various metals which abounded in the superficial layers of the planet. Later on, much greater quantities of these carbon gases were consumed by the early and prolific plant life. 57:7.9 Even in the later periods the continuing lava flows and the incoming meteors kept the oxygen of the air almost completely used up. Even the early deposits of the soon appearing primitive ocean contain no colored stones or shales. And for a long time after this ocean appeared, there was virtually no free oxygen in the atmosphere; and it did not appear in significant quantities until it was later generated by the seaweeds and other forms of vegetable life. 57:7.10 The primitive planetary atmosphere of the volcanic age affords little protection against the collisional impacts of the meteoric swarms. Millions upon millions of meteors are able to penetrate such an air belt to smash against the planetary crust as solid bodies. But as time passes, fewer and fewer prove large enough to resist the ever-stronger friction shield of the oxygen-enriching atmosphere of the later eras. 57:8.1 1,000,000,000 years ago is the date of the actual beginning of Urantia history. The planet had attained approximately its present size. And about this time it was placed upon the physical registries of Nebadon and given its name, Urantia. 57:8.2 The atmosphere, together with incessant moisture precipitation, facilitated the cooling of the earth's crust. Volcanic action early equalized internal-heat pressure and crustal contraction; and as volcanoes rapidly decreased, earthquakes made their appearance as this epoch of crustal cooling and adjustment progressed. 57:8.3 The real geologic history of Urantia begins with the cooling of the earth's crust sufficiently to cause the formation of the first ocean. Water-vapor condensation on the cooling surface of the earth, once begun, continued until it was virtually complete. By the end of this period the ocean was world-wide, covering the entire planet to an average depth of over one mile. The tides were then in play much as they are now observed, but this primitive ocean was not salty; it was practically a fresh-water covering for the world. In those days, most of the chlorine was combined with various metals, but there was enough, in union with hydrogen, to render this water faintly acid. 57:8.4 At the opening of this faraway era, Urantia should be envisaged as a water-bound planet. Later on, deeper and hence denser lava flows came out upon the bottom of the present Pacific Ocean, and this part of the water-covered surface became considerably depressed. The first continental land mass emerged from the world ocean in compensatory adjustment of the equilibrium of the gradually thickening earth's crust. 57:8.5 950,000,000 years ago Urantia presents the picture of one great continent of land and one large body of water, the Pacific Ocean. Volcanoes are still widespread and earthquakes are both frequent and severe. Meteors continue to bombard the earth, but they are diminishing in both frequency and size. The atmosphere is clearing up, but the amount of carbon dioxide continues large. The earth's crust is gradually stabilizing. 57:8.6 It was at about this time that Urantia was assigned to the system of Satania for planetary administration and was placed on the life registry of Norlatiadek. Then began the administrative recognition of the small and insignificant sphere which was destined to be the planet whereon Michael would subsequently engage in the stupendous undertaking of mortal bestowal, would participate in those experiences which have since caused Urantia to become locally known as the "world of the cross." 57:8.7 900,000,000 years ago witnessed the arrival on Urantia of the first Satania scouting party sent out from Jerusem to examine the planet and make a report on its adaptation for a life-experiment station. This commission consisted of twenty-four members, embracing Life Carriers, Lanonandek Sons, Melchizedeks, seraphim, and other orders of celestial life having to do with the early days of planetary organization and administration. 57:8.8 After making a painstaking survey of the planet, this commission returned to Jerusem and reported favorably to the System Sovereign, recommending that Urantia be placed on the life-experiment registry. Your world was accordingly registered on Jerusem as a decimal planet, and the Life Carriers were notified that they would be granted permission to institute new patterns of mechanical, chemical, and electrical mobilization at the time of their subsequent arrival with life transplantation and implantation mandates. 57:8.9 In due course arrangements for the planetary occupation were completed by the mixed commission of twelve on Jerusem and approved by the planetary commission of seventy on Edentia. These plans, proposed by the advisory counselors of the Life Carriers, were finally accepted on Salvington. Soon thereafter the Nebadon broadcasts carried the announcement that Urantia would become the stage whereon the Life Carriers would execute their sixtieth Satania experiment designed to amplify and improve the Satania type of the Nebadon life patterns. 57:8.10 Shortly after Urantia was first recognized on the universe broadcasts to all Nebadon, it was accorded full universe status. Soon thereafter it was registered in the records of the minor and the major sector headquarters planets of the superuniverse; and before this age was over, Urantia had found entry on the planetary-life registry of Uversa. 57:8.11 This entire age was characterized by frequent and violent storms. The early crust of the earth was in a state of continual flux. Surface cooling alternated with immense lava flows. Nowhere can there be found on the surface of the world anything of this original planetary crust. It has all been mixed up too many times with extruding lavas of deep origins and admixed with subsequent deposits of the early world-wide ocean. 57:8.12 Nowhere on the surface of the world will there be found more of the modified remnants of these ancient preocean rocks than in northeastern Canada around Hudson Bay. This extensive granite elevation is composed of stone belonging to the preoceanic ages. These rock layers have been heated, bent, twisted, upcrumpled, and again and again have they passed through these distorting metamorphic experiences. 57:8.13 Throughout the oceanic ages, enormous layers of fossil-free stratified stone were deposited on this ancient ocean bottom. Limestone can form as a result of chemical precipitation; not all of the older limestone was produced by marine-life deposition.) In none of these ancient rock formations will there be found evidences of life; they contain no fossils unless, by some chance, later deposits of the water ages have become mixed with these older prelife layers. 57:8.14 The earth's early crust was highly unstable, but mountains were not in process of formation. The planet contracted under gravity pressure as it formed. Mountains are not the result of the collapse of the cooling crust of a contracting sphere; they appear later on as a result of the action of rain, gravity, and erosion. 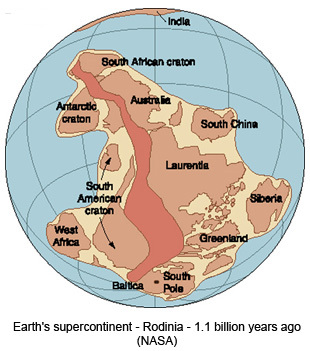 57:8.15 The continental land mass of this era increased until it covered almost ten per cent of the earth's surface. Severe earthquakes did not begin until the continental mass of land emerged well above the water. When they once began, they increased in frequency and severity for ages. 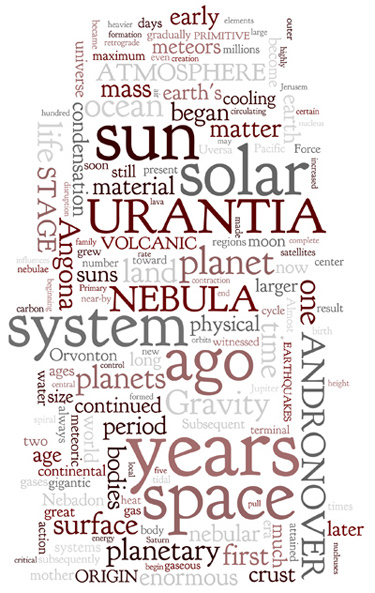 For millions upon millions of years earthquakes have diminished, but Urantia still has an average of fifteen daily. 57:8.16 850,000,000 years ago the first real epoch of the stabilization of the earth's crust began. Most of the heavier metals had settled down toward the center of the globe; the cooling crust had ceased to cave in on such an extensive scale as in former ages. There was established a better balance between the land extrusion and the heavier ocean bed. The flow of the subcrustal lava bed became well- nigh world-wide, and this compensated and stabilized the fluctuations due to cooling, contracting, and superficial shifting. 57:8.17 Volcanic eruptions and earthquakes continued to diminish in frequency and severity. The atmosphere was clearing of volcanic gases and water vapor, but the percentage of carbon dioxide was still high. 57:8.18 Electric disturbances in the air and in the earth were also decreasing. The lava flows had brought to the surface a mixture of elements which diversified the crust and better insulated the planet from certain space-energies. And all of this did much to facilitate the control of terrestrial energy and to regulate its flow, as is disclosed by the functioning of the magnetic poles. 57:8.19 800,000,000 years ago witnessed the inauguration of the first great land epoch, the age of increased continental emergence. 57:8.20 Since the condensation of the earth's hydrosphere, first into the world ocean and subsequently into the Pacific Ocean, this latter body of water should be visualized as then covering nine tenths of the earth's surface. Meteors falling into the sea accumulated on the ocean bottom, and meteors are, generally speaking, composed of heavy materials. 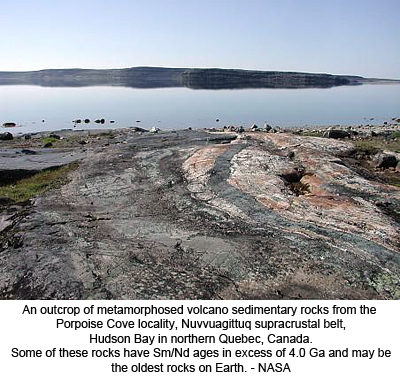 Those falling on the land were largely oxidized, subsequently worn down by erosion, and washed into the ocean basins. Thus the ocean bottom grew increasingly heavy, and added to this was the weight of a body of water at some places ten miles deep. 57:8.21 The increasing downthrust of the Pacific Ocean operated further to upthrust the continental land mass. Europe and Africa began to rise out of the Pacific depths along with those masses now called Australia, North and South America, and the continent of Antarctica, while the bed of the Pacific Ocean engaged in a further compensatory sinking adjustment. By the end of this period almost one third of the earth's surface consisted of land, all in one continental body. 57:8.22 With this increase in land elevation the first climatic differences of the planet appeared. Land elevation, cosmic clouds, and oceanic influences are the chief factors in climatic fluctuation. The backbone of the Asiatic land mass reached a height of almost nine miles at the time of the maximum land emergence. Had there been much moisture in the air hovering over these highly elevated regions, enormous ice blankets would have formed; the ice age would have arrived long before it did. It was several hundred millions of years before so much land again appeared above water. 57:8.23 750,000,000 years ago the first breaks in the continental land mass began as the great north- and-south cracking, which later admitted the ocean waters and prepared the way for the westward drift of the continents of North and South America, including Greenland. The long east-and-west cleavage separated Africa from Europe and severed the land masses of Australia, the Pacific Islands, and Antarctica from the Asiatic continent. 57:8.24 700,000,000 years ago Urantia was approaching the ripening of conditions suitable for the support of life. The continental land drift continued; increasingly the ocean penetrated the land as long fingerlike seas providing those shallow waters and sheltered bays which are so suitable as a habitat for marine life. 57:8.25 650,000,000 years ago witnessed the further separation of the land masses and, in consequence, a further extension of the continental seas. And these waters were rapidly attaining that degree of saltiness which was essential to Urantia life. 57:8.26 It was these seas and their successors that laid down the life records of Urantia, as subsequently discovered in well-preserved stone pages, volume upon volume, as era succeeded era and age grew upon age. These inland seas of olden times were truly the cradle of evolution.